LeaseCrunch® includes a suite of features designed to help firms meet the needs of their most valuable clients with features and benefits including policy templates (FASB/IFRS), automated footnote disclosures (FASB/IFRS) and in-app wizards to assist with entering lease information. 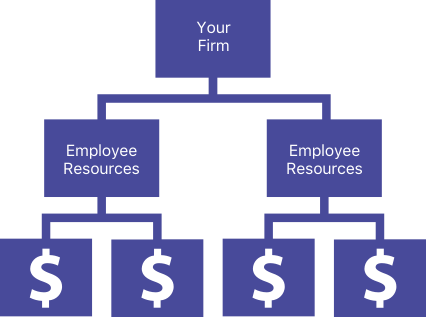 Guiding clients through accounting policy designations prior to implementation. Calculating aggregated journal entries, complex footnote disclosures and financial statement impact. Allow for seamless input into accounting systems. Itʼs a common misconception that clients with one or two leases can rely on spreadsheets for the new lease standards. In reality, the complexity of the new standards will present significant demands on all clients, regardless of size. For example, companies need to make a number of policy elections, which will impact calculations. With materiality, even clients with a single office lease will require full implementation. LeaseCrunch® enables firms to serve their small clients with impressive features and capabilities, thereby automating the deliverables required by auditors saving time and money. LeaseCrunch® helps auditors by connecting policy elections with the appropriate calculations, reducing confusion and ensuring accuracy. Bookkeepers will love LeaseCrunch®’s ability to manage all your clients in a single, easy-to-use application. 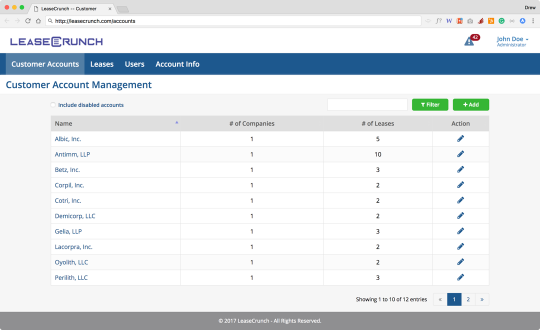 LeaseCrunch® includes features designed for bookkeepers with a central view of your clients, making it effortless to service all your clients from one dashboard. LeaseCrunch® enables CPA firms to work independently or jointly with their clients to input new leases, close monthly financials and complete reviews/audits. Many firms and clients have a false impression that spreadsheets will be a viable solution for the new lease standard. LeaseCrunch® saves hours of time and effort for auditors with features that ensure accurate and consistent adherence to the new standard across your entire client portfolio while automating the deliverables required by auditors.